Ten years ago, I was 23 and the Legend was 11. It had traveled a mere 159,000 miles. Those were the days! Today, we’re taking a drive back in time to the year 2005. George W. Bush had recently been sworn in on his second term as president. Hurricane Katrina pounded the Gulf Coast. 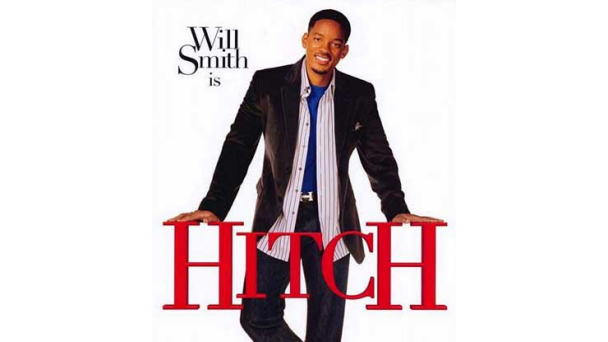 Will Smith starred in the movie Hitch. And Gwen Stefani’s “Hollaback Girl” was the most-downloaded song of the year. Can you believe it’s been a decade? In February of that year, I was a plowing through my undergraduate degree at Utah State University in a town called Logan. 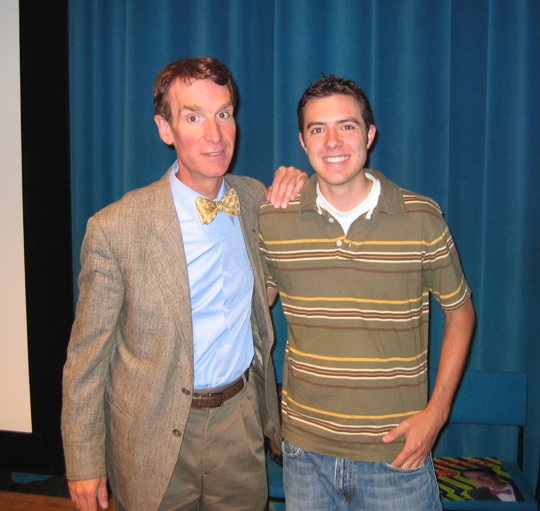 The highlight of my college career was meeting Bill Nye the Science Guy at an assembly. 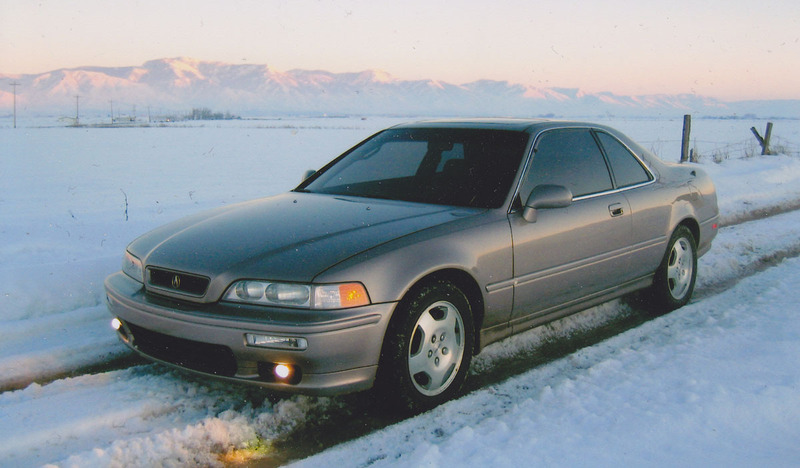 I’d only owned my 1994 Acura Legend for a couple of years, but I was already documenting my travels with plenty of pictures. Here are a few shots I dug up from the “Feb 05” archives in a box and scanned. Indeed, back in that day I used to have nearly all of my digital camera’s photos printed up as 3×5’s at Walmart. I’m glad THAT tradition fell by the wayside. I’d have filled a library by now with all the volumes of photo albums. In the below photo, I was hanging out my sunroof whilst paying a visit to my friend Nate. 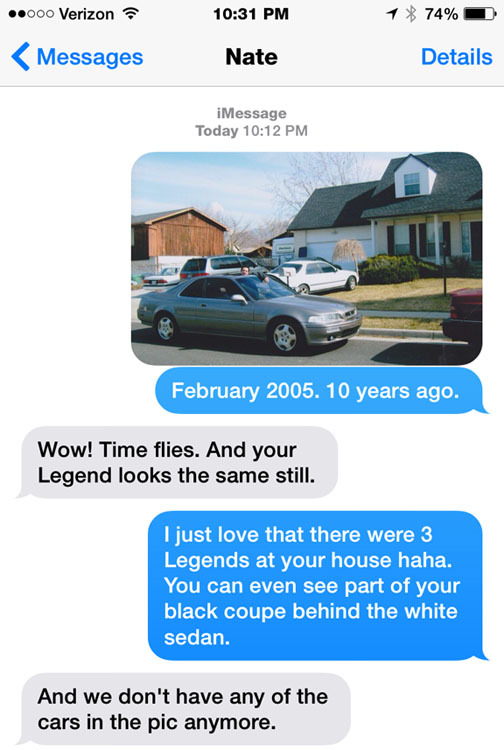 As you can tell, Nate was quite the Honda-fan, too. 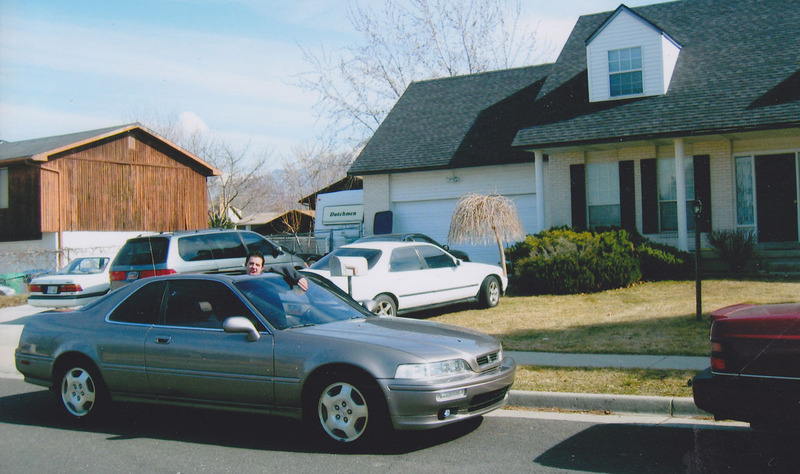 Notice the Accord, the Odyssey, and three Legends (besides mine) at his family’s home in Sandy, just south of Salt Lake City. There’s a black 1995 LS coupe peeking out behind the white sedan. I decided to send the picture to Nate and see if it looked at all familiar to him. Sounds like Nate’s family has upgraded to newer cars. He said his dad’s now in a TL Type-S and his mom is in a newer Odyssey. At least they’re still as Honda-loyal as ever. Here are a few other pictures I dug up. From that same photoshoot: Train tracks. Don’t try this at home, kids! Highway 89 through Logan Canyon. This scene brings back memories. 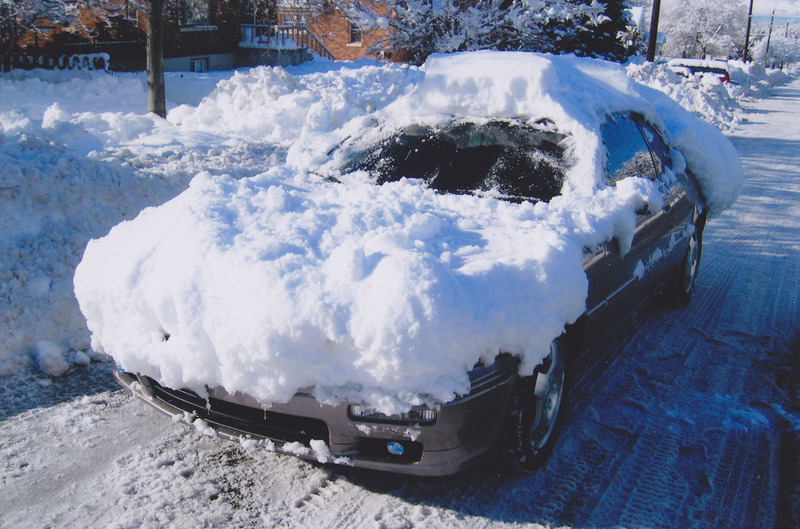 I’ll never forget the day I was off galavanting after a fresh snowstorm and decided to pull a U-turn in some snow on the side of the road. 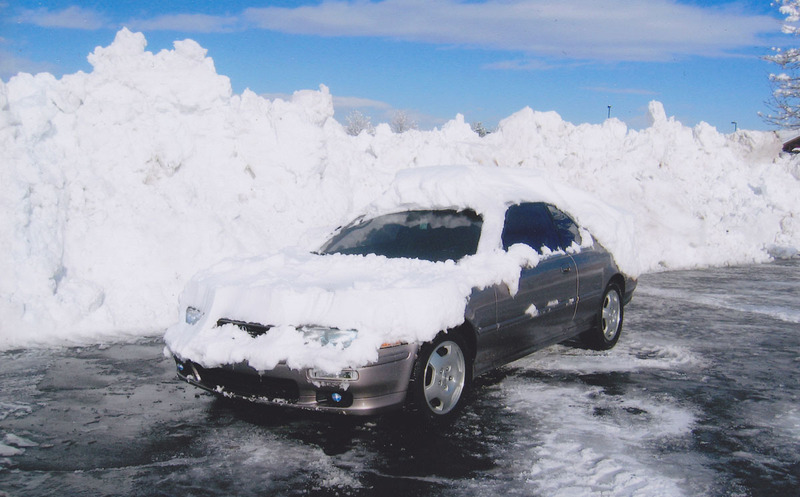 The snow ended up being a lot deeper than it looked, and I got my car hopelessly stuck. Cell service sucked but my little Samsung flip-phone eked out a call for help to a tow company operated by my dad’s friend, and a guy came to shovel/push me out. Speaking of snow: We did get our fair share that winter. The aftermath was pretty entertaining. 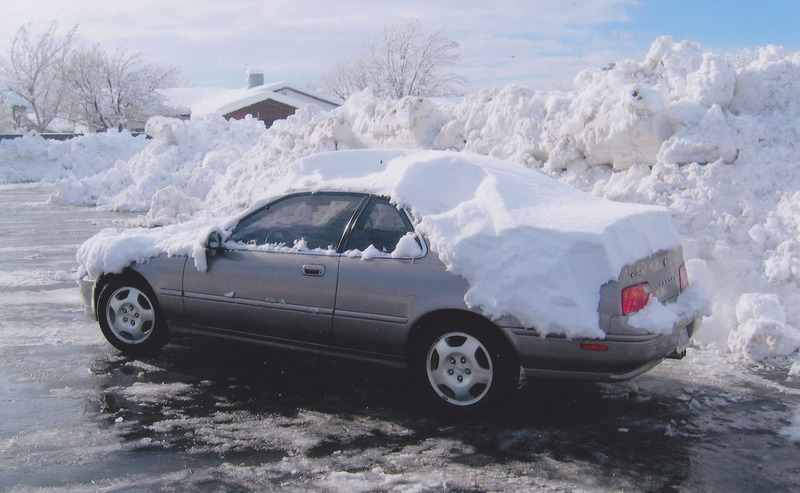 I don’t even know if I owned an ice scraper. I know that I don’t have one today. Camouflage. It fits right in with the background. I bet it was a good ski season that year. Antelope Island, an island in the Great Salt Lake. The entire island is a state park. So that was February 2005 in a dozen memorable pictures. Before we know it, we’ll be in the year 2025 and I’ll be reminiscing about 2015 just like this. Meanwhile, over at my house, there’s new kid on the block this week. This entry was posted on February 19, 2015 at 5:09 pm and is filed under Legend, Throwback, Utah. You can follow any responses to this entry through the RSS 2.0 feed. You can leave a response, or trackback from your own site. Hello Tyson. Two questions: What color is that TLX and what kind of transmission does it have? Hi Tyson. 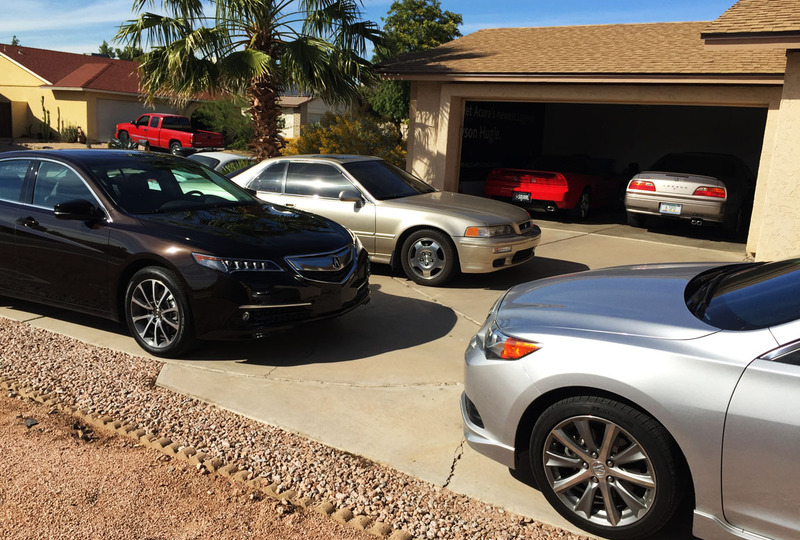 Sofyan Bey’s reviews of your NSX and your Legends referred me here to your blog and it is so awesome that you document everything. 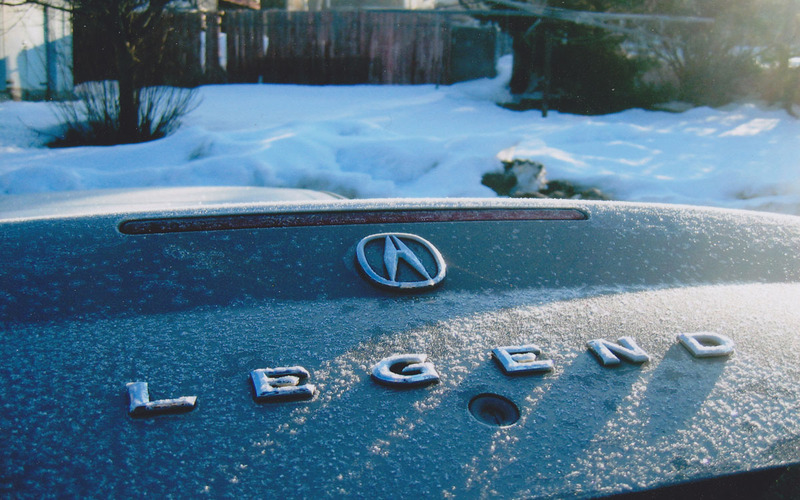 I enjoy reading about your travels in your Acuras and you make me really want to buy a Legend. They just look so good and I see a couple of them here and there. Also I am currently a student at Utah State so it is awesome to find out that you were once a student here. 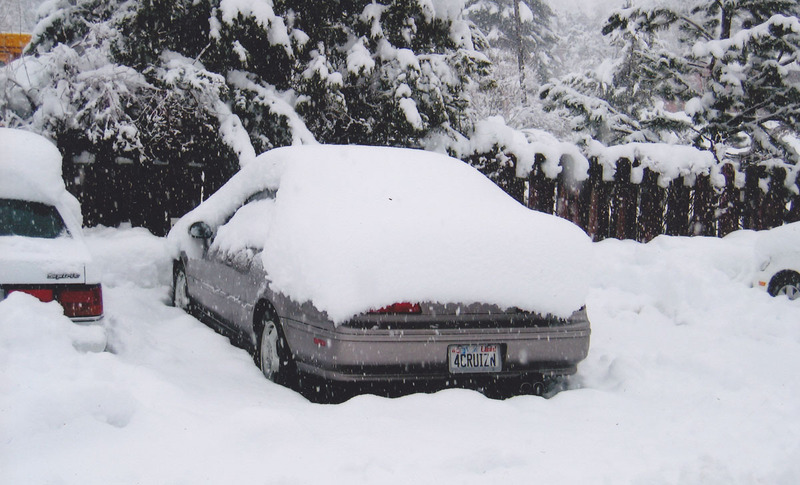 Of course nowadays we do not get quite the amount of snow that you got when you lived up here. 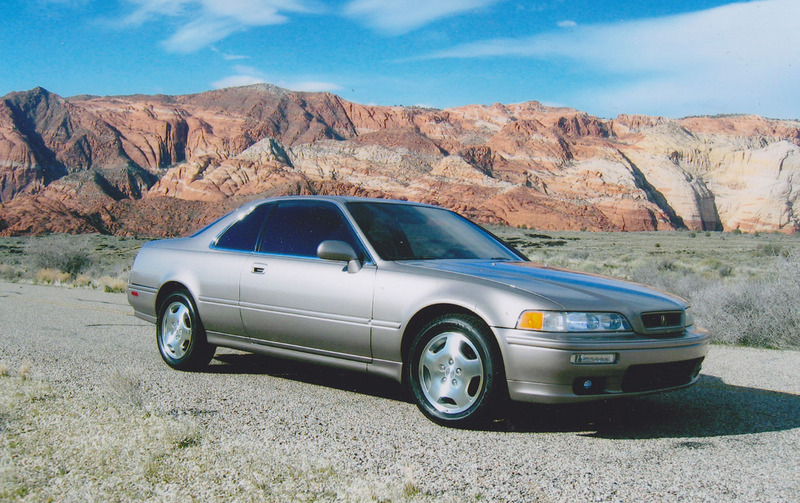 Anyway it is nice to see someone so loyal to Honda/Acura and you own a true testament to their overall reliability. 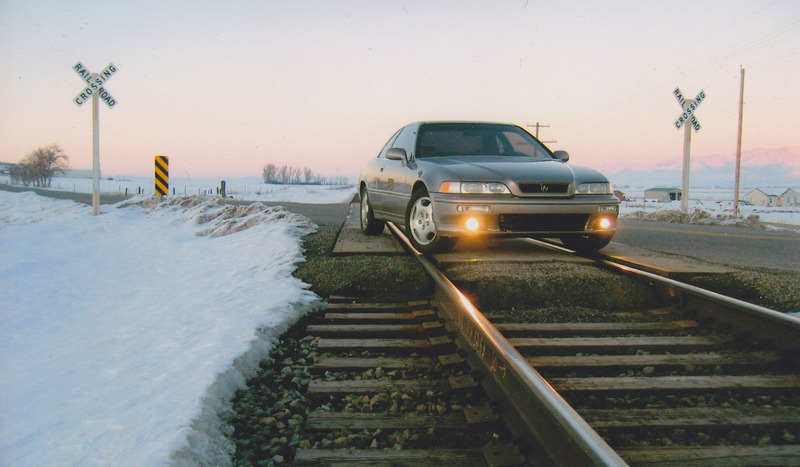 Your blog definitely showcases that and it lets me know that as long as I maintain my Honda, it will never die on me. Sorry my comment is a little long but I really just wanted to let you know that your blog is fantastic and I look forward to every new entry. It would be so awesome to meet up! So about the Honda, its a 2001 Honda Civic that my dad bought new in November 2000. It is now sitting at about 134,500 miles on it. I inherited the car in January 2013 with 116,500 miles or so on it and we haven’t had any problems with it at all other than basic maintenance. It is a fantastic commuter from my parents’ house in Salt Lake City to Logan and I don’t think I will ever get rid of it. Anyway I am really looking forward to your review of the TLX! Wow… I love that Copper Black Pearl! Too bad you don’t have enough time to put 500,000 miles on that TLX! thanks for letting me stop by and check out the temporary ride! cant wait to see pics of your hikes on saturday! You bet, thanks for coming to visit and sorry we will miss you tomorrow for the drive! Look at that young kid! So in the 10 years since, you’ve covered upwards of 500k miles just between the Legend coupe and the ILX. Wow. Anyway, let’s not make the 2025 throwback entry come too quickly. If I have any hair left, it will likely be entirely gray by then. Haha yeah, lots of miles traveled in the last decade. It’d be interesting if I had a way to add them all up – across the Legend and every other car I’ve owned in the last 10 years. I agree with you on the timelapse – let’s slow down the clock a little. Hope your weekend is going well! So much has happened in ten years – the Legend has aged well. It really has! Where will the next decade take us? Time will tell! Thanks again for a fun weekend – I’m still working on getting my write-up put together, but you’ll see it here soon. I spy TLX! Nice throw-back, Tyson! 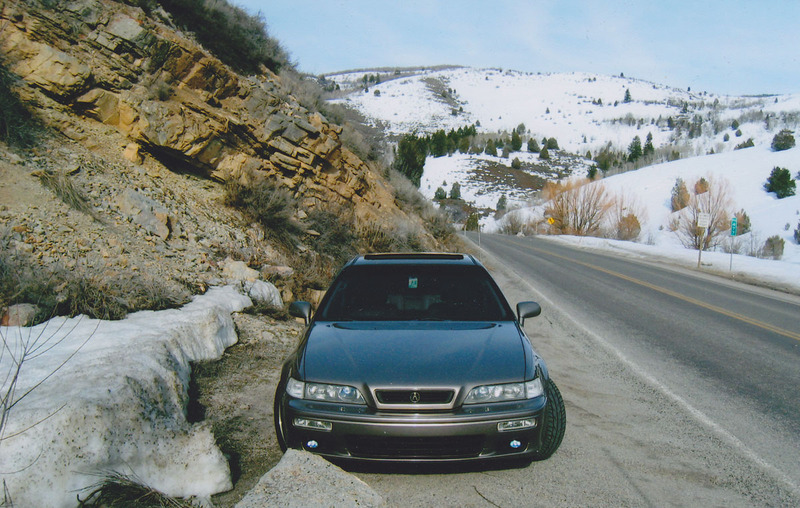 Your beautiful Legend photos remind me of all my venturing in the RSX. Actually, I’m quite a bit behind you since I got the RSX in 2005. lol Looking forward to your review of the TLX! Thanks Jason! Yeah, TLX write-up is pending and I’ll have it published within the net few days. Been a fun ride. Dig up some RSX pics and post a throwback sometime! Haha, yes, and I like it! I’m just putting the finishing touches on the TLX post, and then I’ll need to add a few pictures and it’s set. 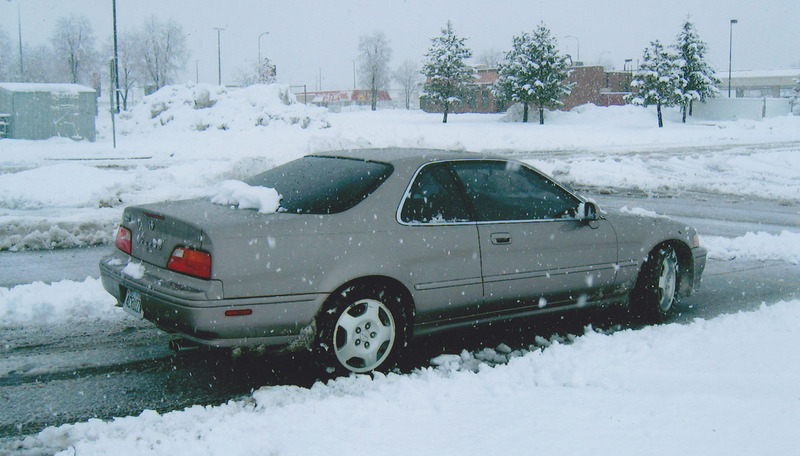 Rare rainy day in PHX today – maybe a good chance to put that SH-AWD through some evaluation.